996: Gregory V became the first German pope. He was a nephew of emperor Otto III, whom he crowned. During an absence from Rome, rivals set up an antipope, but Gregory was able to overthrow him. There was a suspicion of foul play when Gregory died suddenly. 1512: The Fifth Lateran Council opened. 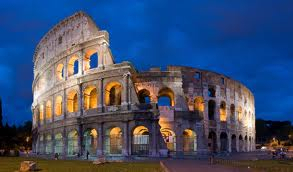 Called by Pope Julius II, it was not accepted as legitimate by the French Church because it denied their claim to ancient liberties. 1832: Edward Irving was barred from his Presbyterian church, where he honored “prophets” and tongues-speakers. Later he was stripped of his ordination because of faulty teachings on the nature of Christ. Before the Civil War, few chaplains served with American armies. But on May 3, 1861, the Southern Congress approved Bill 102, stating, “There shall be appointed by the President chaplains to serve the armies of the Confederate States during the existing war.” On May 3, 1862, Rev. A. C. Hopkins, Presbyterian pastor from Martinsburg, West Virginia, joined them, commissioned as chaplain of the Second Virginia Regiment. Hopkins wasted no time. On May 16 he led the men in a day of fasting and prayer. Two days later he conducted Sunday services at Mossy Creek. The ensuing week found him consumed by the wounded, dying, and dead. During the Seven Days’ Battle near Richmond, he marched all day in the hot sun and spent a sleepless night ministering to the wounded and dying. The next morning, attempting to preach to his men on the line, he collapsed, strength gone. He was carried to the rear to recover, but when he returned to the front ten days later, he learned that his best friends were dead. Hopkins sank into despondency. Heavy losses at Malvern Hill further drained him, and Hopkins felt he could no longer continue. He retreated for a season of intense prayer, and soon Bible classes were organized and flourished. Evangelists visited the brigade, and religious services were followed by group discussions, prayer meetings, and baptisms. Large sums were raised to provide Christian literature for ravaged cities. Generals and officers were saved, and prayer meetings were conducted three times daily. In all, between 100,000 and 200,000 Union soldiers and approximately 150,000 Southern troops were converted during the Civil War revivals. Whole armies on both sides became vast fields, ready for harvest. And many of the soldiers who perished went to heaven through the efforts of chaplains like Rev. A. C. Hopkins, who continued hard in service until the bitter end. With the Civil War, chaplains earned a lasting place with American troops around the world. About the Author: Robert J. Morgan, is the pastor of Donelson Fellowship in Nashville, Tennessee and the author of the best-selling Then Sings My Soul, From This Verse, Red Sea Rules, and On This Day – this article was adapted from the May 3rd entry in this excellent book. 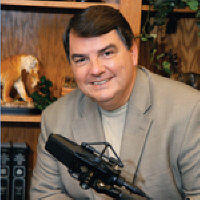 He conducts Bible conferences, parenting and marriage retreats, and leadership seminars across the country. 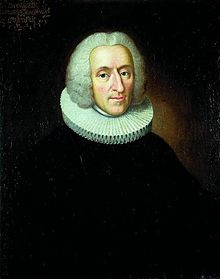 Hans Egede was born in northeastern Norway in 1686. While serving as a Lutheran minister in Vaagan, Norway, Egede began studying about the old Norse Christian settlements in Greenland. During the Middle Ages a bishop had sent Norwegian settlers there, and these settlers had not had any contact with Europe since 1410. Egede wondered what had become of their descendents. Egede became fascinated with the idea of resuming contact with the settlers and evangelizing them if they were no longer followers of Jesus. He felt that it was the duty of Norway and Denmark to bring the gospel to the descendants of the settlers and whoever else might live on the island. He tried to interest both the Danish king and the bishops in a missionary effort to Greenland, but they were not interested. When Egede changed his proposition to include more commercial purposes, such as colonizing, setting up trading posts, and investigating the natural resources of Greenland, he found support. He eventually succeeded in founding a company that supported both commercial and missionary endeavors, and he set sail for Greenland with his wife and two sons on May 3, 1721. Upon his arrival in Greenland, Egede was shocked to find no Norse communities. No Europeans had survived the centuries, and solely Eskimos inhabited the island. Although surprised, he maintained his missionary purpose and attempted to learn the language and culture of the Eskimo people and present the gospel to them. He initially had very limited success. However, his optimism was clear in his founding of the colonial town of Godthab, which means “Good Hope.” Godthab today is known, as the capital city of Nuuk. The evangelistic tides turned in 1733 when a smallpox epidemic killed thousands of Eskimos on the island. The selfless way that Egede and his family cared for the sick and buried the dead had a profound impact on the Eskimos. All of a sudden his message was received eagerly and many were won to Christ. Due to the difficult time that Egede had experienced learning the Eskimo language, it was his son Paul who did most of the preaching and the winning of souls to Christ. Having grown up with the Eskimos, he spoke their language as his own. After his father left Greenland, Paul remained as a missionary. Hans, Egede’s other son, Niels, his son-in-law, and two nephews also were missionaries to Greenland (Egede pictured on left). 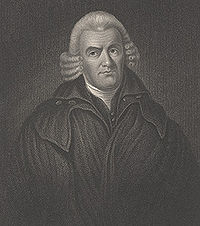 Hans Egede returned to Denmark in 1736 to found a school for the training of missionaries to Greenland. He wrote ethnographic books on the history, folklore, geography, and language of Greenland that are still respected today. With Paul’s assistance he translated the New Testament into the Eskimo language and wrote an Eskimo grammar, a dictionary, and a catechism. Moravian missionaries arrived in Greenland in 1733. They carried on the work for Christ that Egede and his family had pioneered. Due to the missionary efforts of Hans Egede, his family, and the Moravian missionaries that followed, all of Greenland’s Eskimos eventually became members of Christian churches! 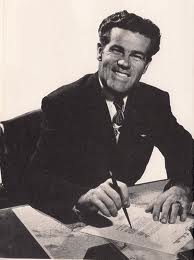 Hans Egede’s ministry did not bear fruit quickly. Despite his initial lack of success, he trusted that God would reach the people of Greenland, and he did. It was Egede’s selfless actions and not his words that earned him a hearing. What can you learn from Hans Egede to apply to your own life? Author’s of the Article Above: Mike and Sharon Rusten are not only marriage and business partners; they also share a love for history. Mike studied at Princeton (B.A. ), the University of Minnesota (M.A. ), Westminster Theological Seminary (M.Div. ), Trinity Evangelical Divinity School (Th.M. ), and New York University (Ph.D.). Sharon studied at Beaver College, Lake Forest College, and the University of Minnesota (B.A. ), and together with Mike has attended the American Institute of Holy Land Studies (now Jerusalem University College). The Rusten’s have two grown children and live in Minnetonka, Minnesota. 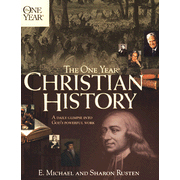 This article was adapted from the May 3rd entry in their wonderful book The One Year Book of Christian History, Carol Stream, IL: Tyndale, 2003. 1380: Catherine of Sienna, Dominican tertiary and mystic, died in Rome. She had a strong influence on world events through correspondence with the notables of her day. 1607: The first Anglican Church was established in the American Colonies, at Cape Henry, Virginia. 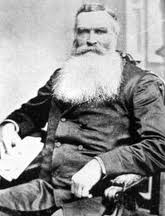 1882: John Nelson Darby died in Bournemouth, England. He was a founder of the Plymouth Brethren movement and exerted a strong, worldwide influence on dispensationalism and proponent of a pre-tribulational rapture. In the United States, many of Darby’s ideas were popularized in the notes of the Scofield Bible. 1933: Dawson Trotman (pictured at right) began his work with Navy men. The work led to the formation of the Navigators, a discipleship organization. 1945: Five hundred Greek Catholic clergymen at Lwow, Poland, were surrounded by police and arrested. Many were shot. Throughout much of the fourteenth and fifteenth centuries, the English fought the French in an attempt to claim France as their own. 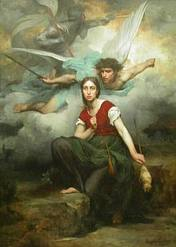 The English had the upper hand Until Joan of Arc appeared. Joan was a simple and pious peasant girl who wove and spun. She began to see heavenly beings and hear their voices, which told her that deliverance would come to France through her. The voices sent her to the nearest French bastion, but when she appeared before him her pleas were ignored. Eventually, Joan convinced local authorities that she was for real. One thing led to another and she ended up picking the disguised dauphin out of a crowd of courtiers. She also made prophecies, which were recorded in a letter written from Lyons on April 22, 1429. Those prophecies came true. One of her predictions was that she would save besieged Orleans, and area that was crucial to the defense of France. On April 29 in 1429, a rapid march brought Joan of Arc, accompanied by French forces, to the city of Orleans. It was the turning point of the Hundred Years’ War. The English retreated the next day, but as it was Sunday, Joan forbid the French to pursue them. Within a few days, the English garrisons around Orleans had all been captured. Joan was wounded in the fighting, which was also as she had predicted. Charles, the irresolute dauphin, had to be coaxed into action. Joan convinced him to undertake various moves, which he did halfheartedly. A dramatic French victory at Pasay opened the way for Charles to retake Reims. Again Joan had difficulty convincing him to take the logical step of having himself crowned, but he finally acquiesced. Then she knelt before him and called him king. The voices told her that she had less than a year left for her work. Those succeeding months proved to be frustrating for her. The king and his advisors lacked the boldness to pursue the advantages Joan had gained for the French. A feeble attempt to retake Paris failed. Not long afterward, Joan was captured by the English, who brought charge of witchcraft against her. Determined to find grounds for executing her, they had a group of high-powered theologians browbeat her and did not allow her any legal counsel. As could be expected with such a stacked trial, Joan was convicted of practicing witchcraft. In a moment when her terror overcame her, she recanted with the caveat that she did so only as far as it was God’s will. Her persecutors soon entrapped her with accusations. Quickly she regained her courage and did not waver again, even when brought to the stake. She asked that a crucifix be held before her face and called upon the name of Jesus as long as her breath remained in her. Subsequent inquiries exonerated her and the pope officially canonized her as a saint in 1920. 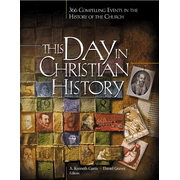 Author’s of the Above Article: A. Kenneth Curtis and Daniel Graves edited This Day In Christian History. Camp Hill, PA: Christian Publications Inc., 2005. The article above was adapted from the entry for April 29. Giacomo Benincasa, dyer of fabrics in Siena, Italy, named his twenty-third child Catherine. Their house sat on a hillside, the basement containing dye rooms. Atop the hill sat the church of St. Dominic over which, when Catherine was seven, she saw a vision of Jesus. From that day she yearned to serve Christ. At age 12 she so resisted her father’s pressure to marry that he said, May God preserve us, dearest daughter, from trying to set ourselves against the will of God. We have long seen that it was no childish whim of thine, and now we know clearly that it is the Spirit of God. He gave her a room near his dye quarters, and there Catherine made herself a chapel. Catherine’s personality burned like a knife, and she soon inserted herself without invitation into community and church affairs, becoming the most outspoken Italian woman of the Middle Ages. She railed against the death sentence of a young man convicted of criticizing the government, and she accompanied him to his execution, snapping up his decapitated head and arousing public protest. She cared for prisoners. When the Black Death swept Italy, Catherine was everywhere giving aid. Catherine fumed and stormed about corruption in the Church. 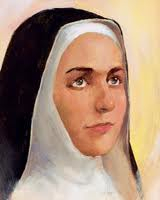 She denounced materialism and immorality in the monasteries. “Those who should be the temples of God,” she wrote, “are the stables of swine.” She fired letters like missiles, keeping three secretaries busy at a time. She told Pope Gregory it would be better for him to resign than to founder, and “Do not be a boy, but a man!” She negotiated peace treaties. She was instrumental in moving the papacy from France back to Rome. Next to St. Francis, Catherine of Siena is the most celebrated of the Italian saints. 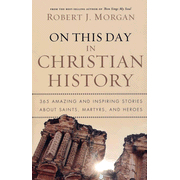 About the Author: Robert J. Morgan, is the pastor of Donelson Fellowship in Nashville, Tennessee and the author of the best-selling Then Sings My Soul, From This Verse, , Red Sea Rules, and On This Day – this article was adapted from the April 29th entry in this excellent book. He conducts Bible conferences, parenting and marriage retreats, and leadership seminars across the country. Every year Jesus’ parents went to Jerusalem for the Passover festival. Every Jewish male was required to attend, but women who loved God came as well. It was a difficult eighty-mile trip from Nazareth, but Passover was the highlight of the year. Since highway robbers were a known danger, pilgrims on their way to Jerusalem usually traveled together in caravans for protection. Mary and Joseph traveled with a large group of friends and relatives. When Jesus was twelve years old, the Passover was on April 29, A.D. 9, and the whole family attended the festival as usual. This was a highly significant period in Jesus’ life because at the age of thirteen Jewish boys were considered to be responsible for themselves before God. The year prior to this was filled with intense instruction (see Darrel L. Bock. Luke. BECNT. Grand Rapids: Baker, 1994. 1:259-75). *Note: The custom of the bar mitzvah came after the time of Jesus. After the celebration was over, Mary and Joseph started home for Nazareth with their large group of fellow pilgrims. Without their knowledge, Jesus stayed behind in Jerusalem. His parents did not miss him at first because they assumed he was friends elsewhere in their caravan. But when they stopped for the evening, they could not find him, and realized he was missing. So they returned to Jerusalem to search for him. Three days later they finally found him in the temple, sitting among the religious leaders, engaged in a question-and-answer session with them. In Jesus’ Greco-Roman world, house or household was not only a designation of location but also of authority. Jesus was aligning himself with his heavenly Father’s house even if it meant disrupting his relationship with his earthly parents. This was a foreshadowing of the pattern for the rest of his life. Mary and Joseph did not understand what he meant. They could not comprehend Jesus’ understanding of who he was. But Mary stored all these things in her heart. Then, as an obedient twelve-year-old, Jesus returned to Nazareth with his parents and lived under their authority (Luke 2:41-52). Mary and Joseph were probably the very first persons to wrestle with the question of who Jesus was. Before his birth an angel had told Joseph that Mary’s son would “save his people from their sins” (Matthew 1:21) and had told Mary her son “would be very great and [would] be called the Son of the Most High” (Luke 1:32). Yet Mary and Joseph did not completely understand the angels’ messages. These were the things that Mary pondered in her heart. We, too, must answer the question, Who is Jesus? What is your answer? Author’s of the Article Above: Mike and Sharon Rusten are not only marriage and business partners; they also share a love for history. Mike studied at Princeton (B.A. ), the University of Minnesota (M.A. ), Westminster Theological Seminary (M.Div. ), Trinity Evangelical Divinity School (Th.M. ), and New York University (Ph.D.). Sharon studied at Beaver College, Lake Forest College, and the University of Minnesota (B.A. ), and together with Mike has attended the American Institute of Holy Land Studies (now Jerusalem University College). The Rustens have two grown children and live in Minnetonka, Minnesota. This article was adapted from the April 29th entry in their wonderful book The One Year Book of Christian History, Carol Stream, IL: Tyndale, 2003. Tags: April 29 In Christian History, Catherine of Sienna, Dawson Trottman, first Anglican Church was established in the American Colonies, Fray Pedro, Giacomo Benincasa, Jesus in the Temple as a boy, Joan of Arc, Joan of Arc Turns Tide of French-English War, John Nelson Darby, Mike and Sharon Rusten, Robert J Morgan, What happened on April 29 in Christian History?, Why was Jesus in the temple as a teen? Daniel The Prophet of God – World History in Advance – April 23, 536 B.C. In 536 B.C. Daniel was a very old man living in Persia. 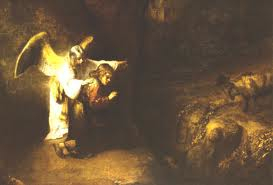 He had been deported from Jerusalem sixty-nine years earlier with the first group of captives and taken to Babylon. 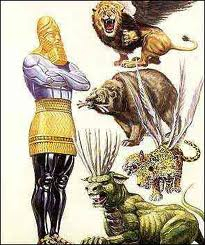 In Babylon Daniel rose to the top in government service, serving under Nebuchadnezzar, Darius the Mede, and perhaps also Cyrus the king of Persia. Under Nebuchadnezzar Daniel became the governor of the province of Babylon. Belshazzar, son of Nebuchadnezzar, appointed him to be third ruler in his kingdom, and Darius made him one of three presidents to whom his 120 satraps reported. Three years earlier, after a time of prayer and mourning over the sins of his people, Daniel had received a vision from the angel Gabriel who gave him a message that included the timing of the future events in the history of God’s people (Daniel 9:20-27). Now once again Daniel was in prayer and mourning. In particular he prayed for greater understanding of the visions he had already received. For three weeks as he prayed, he ate no rich food or meat and drank no wine. Then suddenly on April 23, 536 B.C., as the old man was standing beside the Tigris River, he looked up and saw a vision of “a man dressed in linen clothing, with a belt of pure gold around his waist. His body looked like a dazzling gem. From his face came flashes like lightning, and his eyes were like flaming torches. His arms and feet shone like polished bronze, and his voice was like the roaring of a vast multitude of people” (10:4-6). Daniel was the only person who saw this vision. The men who were with him saw nothing but became so terrified that they ran away to hide. So Daniel was left all alone to watch the awesome vision. He began feeling very weak, and when the man began to speak, Daniel fainted, falling facedown on the ground. Then the man’s hand touched Daniel and lifted him, still trembling, to his hands and knees. The man said, “O Daniel, greatly loved of God, listen carefully to what I have to say. Stand up, for I have been sent to you” (10:11). When he said this, Daniel stood up, still trembling in fear. Then the man said, “Do not be afraid, Daniel. Since the first day you began to pray for understanding and to humble yourself before your God, your request has been heard in heaven. I have come to answer to your prayer. But for twenty-one days the spirit prince of the kingdom of Persia blocked my way. Then Michael, one of the archangels, came to help me, and I left him there with the spirit prince of the kingdom of Persia. Now I am here to explain what will happen to your people in the future, for the vision concerns a time yet to come” (10:12-14). Daniel was then given a summary of the future kings of the Persian Empire (11:2) and told of the appearance of Alexander the Great (11:3) and the division of Alexander’s kingdom into four lesser kingdoms (11:4). Daniel is next told of the continuing struggle between Syria (the king of the north) and Egypt (the king of the south) from 323 B.C. to 167 B.C. when Antiochus IV Epiphanes, the Syrian ruler, erected an altar to Zeus on top of the brazen altar in the temple in Jerusalem and there offered a pig as a sacrifice (11:5-32). This is followed by a description of the Maccabean revolt in which the Jews were able to win independence from Syria (11:35). The vision then fast forwards to the future Antichrist, a person similar to Antiochus Epiphanes in many ways, and describes the battles of the end times (11:36-12:13). The message to Daniel and the book itself ended with the words “You will rest, and then at the end of the days, you will rise again to receive the inheritance set aside for you” (12:13). When God describes the future, what does that tell you about Him? God is not only the author of the Bible but also the author of history—past, present, and future. Author’s of the Article Above: Mike and Sharon Rusten are not only marriage and business partners; they also share a love for history. Mike studied at Princeton (B.A. ), the University of Minnesota (M.A. ), Westminster Theological Seminary (M.Div. ), Trinity Evangelical Divinity School (Th.M. ), and New York University (Ph.D.). Sharon studied at Beaver College, Lake Forest College, and the University of Minnesota (B.A. ), and together with Mike has attended the American Institute of Holy Land Studies (now Jerusalem University College). The Rustens have two grown children and live in Minnetonka, Minnesota. This article was adapted from the April 23rd entry in their wonderful book The One Year Book of Christian History, Carol Stream, IL: Tyndale, 2003. In 1536 John Calvin no longer felt safe in his native France, so he left for Strasbourg, a free city situated between France and Germany that had declared itself Protestant. On his way there he stopped for the night in Geneva, Switzerland. 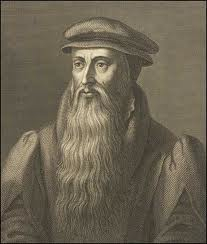 Just two months earlier Geneva had given its allegiance to Protestantism as a result of the labors of William Farel, who had been ministering there for three years. That evening Farel met with Calvin and immediately asked him to join in leading the church in Geneva. 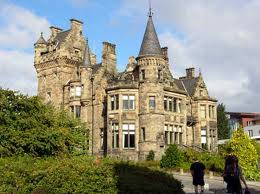 Calvin declined, saying he wanted to go to Strasbourg to study and write. Farel thundered at him that unless Calvin joined him in Geneva, God would bring down curses upon him. Somewhat intimidated by Farel’s pronouncement, twenty-eight-year-old Calvin agreed to stay, even though his preference was to go to Strasbourg. Calvin’s initial stay in Geneva, however, was short. In January 1537 Geneva’s Council of Two Hundred zealously enacted a series of ordinances prohibiting immoral behavior, gambling, foolish songs, and desecration of Sunday with no thought as to how they would be enforced. In July the council ordered all citizens to assent to a confession of faith. In November the council ordered banishment for anyone who refused to swear to the confession. This was more than the man on the street could stomach, and in the city council election three days later, a majority of anticlerical councilmen were elected. The Council of Two Hundred met the following day, April 22, 1538, to decide their fate. The meeting stretched into a second day, at which time the order was given to Calvin and Farel to leave Geneva within three days. 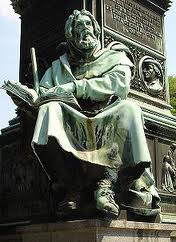 Farel went to Neuchatel, and Calvin returned to his original plan and went to Strasbourg. In Strasbourg Calvin became pastor of the Church of the Strangers, a French refugee church. There he met and married Idelette deBure, the widow of an Anabaptist. Calvin was content in Strasbourg and probably would have spent the rest of his life there had it not been for the Roman Catholic cardinal’s efforts to bring Geneva back into the fold of the Catholic Church. In 1539 the cardinal write to the Genevans, inviting them to return to the pope. No one in Geneva felt qualified to answer the letter, so it was sent to Calvin to respond, which he did very effectively. Meanwhile Geneva was not doing well in his absence. A new election had placed the city government back in the hands of friends who feared that the only way to save the city from anarchy was to bring Calvin back. As a result, in October 1540 the Council of Two Hundred voted to invite him back to Geneva. Once again Calvin’s personal desire was not to go to Geneva. He wrote to a friend, “There is no place in the world which I fear more; not because I hat it; but because I feel unequal to the difficulties which await me there.” And once again it was through the counsel and persuasion of Farel, who himself was not invited back, that Calvin was convinced to return. 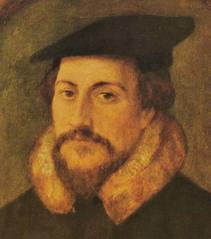 John Calvin spent most of his life in a place where he would rather not have been. Yet he was convinced that God wanted him in Geneva, so that is where he ministered. Do you put geographical limitations on where you will serve God? We will always be happiest where we are in the center of God’s will, regardless of where that may be. Author’s of the Article Above: Mike and Sharon Rusten are not only marriage and business partners; they also share a love for history. Mike studied at Princeton (B.A. ), the University of Minnesota (M.A. ), Westminster Theological Seminary (M.Div. ), Trinity Evangelical Divinity School (Th.M. ), and New York University (Ph.D.). Sharon studied at Beaver College, Lake Forest College, and the University of Minnesota (B.A. 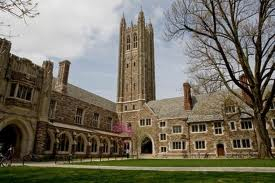 ), and together with Mike has attended the American Institute of Holy Land Studies (now Jerusalem University College). 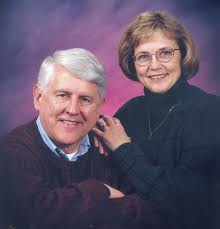 The Rustens have two grown children and live in Minnetonka, Minnesota. This article was adapted from the April 22nd entry in their wonderful book The One Year Book of Christian History, Carol Stream, IL: Tyndale, 2003. 536: Pope St. Agapetus died in the eastern empire, where he had gone in a vain attempt to prevent General Belisarius from coming to Italy. He failed at that but succeeded in moving Justinian away from the Monphysite heresy. After his death, his body was brought back to Rome. 1538: John Calvin and William Farel (see above) were fired by the town council of Geneva and ordered to leave the city within three days. The day before they had refused to administer the Lord’s Supper unless the townsfolk repented. 1723: J.S. Bach was elected cantor of St. Thomas in Leipzig. This was the last post that he held before his death. Bach had a rule never to convert Christian works to secular use, although he often converted secular works to Christian use. 1987: Dr. J. Edwin Orr died on this day. He was a historian of revivals and showed that no revival ever began without prayer.